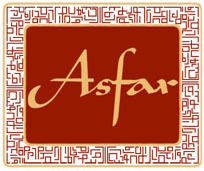 Asfar will consider all individuals’ articles who wish to write for the e-journal. Please email info@asfar.org.uk with your interests, your current course of study (if any) and a sample article on the Middle East of no more than 100 words in length. The Asfar Editorial Team will get in touch, provide feedback on your article and discuss further potential article topics. Once the subject has been identified, writers will receive a submission deadline. All articles must be received by the agreed deadline date to be included in the next edition of the e-journal. All writers will be assigned a mentor to assist with their writing skills and offer further support on their journey of self-expression on the Middle East.